Many, many cookbooks find their way to my kitchen, and, among the more recent books to land on my table was I Quit Sugar by nutrition activist and long-time colleague of mine Sarah Wilson, sent to me by Random House. 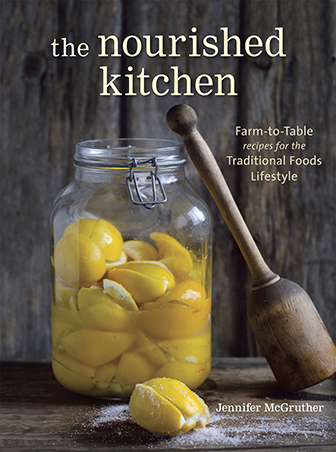 It’s a lovely, simple book with gorgeous recipes, and simple, well-balanced recipes. I Quit Sugar guides readers through a simple, 8-week program designed to minimize and remove added sweeteners from their diets, though concessions are made for brown rice syrup and stevia. Her system is low-key, and begins first with cutting back on added sweeteners, learning to love fat, before guiding readers through how to handle cravings, how to get creative in the kitchen and how to settle into a lifestyle that emphasizes wholesome foods, while also minimizing added sweeteners. And for people who are new to whole foods, and just learning to make that transition, the cheerful, positive guidance provided in I Quit Sugar might just be the support they need. On a personal level, I strongly favor Sarah’s approach to food: whole, fresh, enticing, and expertly executed. I Quit Sugar is heavy on the stevia, and while I’m not a fan of stevia, those of you who need to choose noncaloric sweeteners might find her book particularly helpful. While I don’t avoid added sweeteners, and instead favor the inclusion of unrefined sweeteners as a part of a wholesome, well-rounded approach to foods, I still appreciate the gentle and cheerful wisdom provided in I Quit Sugar. And the recipes? They’re fantastic. Summery Quinoa Tabbouleh. Squash and Pumpkin Seed Hash. Cilantro Pesto. Yum. Among my favorite of her recipes was a simple morning granola of coconut and sprouted nuts that become all toasty roasty in the oven, before gracing a bowlful of yogurt. For breakfast, I enjoy protein- and fat-rich meals because they’re particularly satiating, keeping me full well into the afternoon. I’ve been looking for a solid coconut- and nut-based granola for some time now, and felt so pleased when I opened up Sarah’s book only to find just that. I like to add dried, unsulphured apricots to my bowl for they offer a beautiful butterscotch flavor, complemented by both nuts and cinnamon in the recipe. 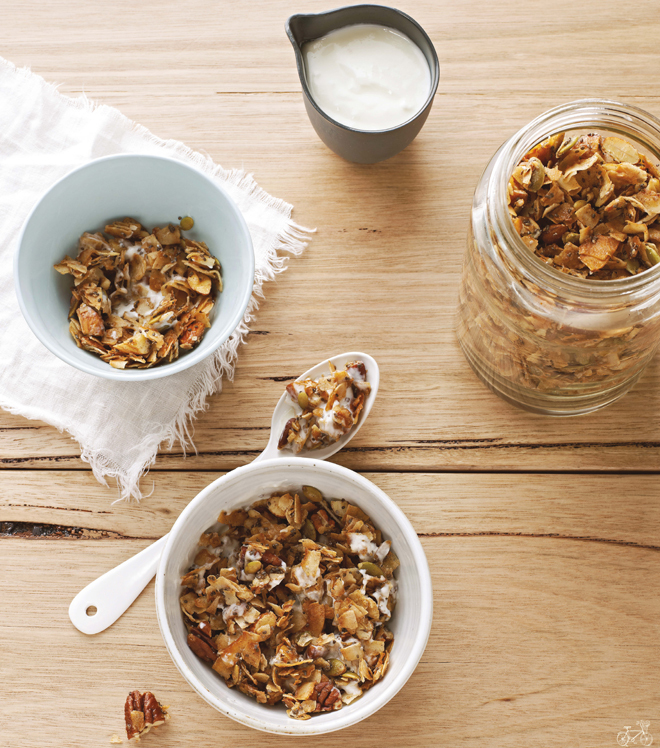 Sarah’s recipe for Coco-Nutty Granola includes sprouted nuts. The processes of soaking, sprouting and roasting nuts (alone or together) produces remarkable results from both a nutrition and culinary perspective. These processes mitigate the presence of natural antinutrients like food phytate which bind trace minerals preventing their full absorption, as well as mitigate the effects of enzyme inhibitors that can make nuts and seeds difficult for some people to digest. You can find sprouted nuts here. The brown rice syrup in this recipe is optional—I personally don't sweeten my granola at all. Perhaps make half a batch with the syrup, half without, and see what you like. I like to eat this granola with yogurt--nice and chunky. This recipe is reprinted from the new book I Quit Sugar by Sarah Wilson. Preheat the oven to 250 degrees F and line a baking tray with baking paper. Combine all the ingredients, then spread evenly on a tray. Bake for 15-20 minutes, until golden, turning halfway through the cooking time. I like to bake mine until quite dark—the darker it is, the crunchier. Remove from the oven and allow to cool, then eat while it's still crispy. Variations: If you wish to add rolled oats, toss 2 cups into the bowl with the rest of the ingredients, and add a little more oil and syrup. To make chocolate granola clusters, mix in ½ cup raw cacao powder and 2 tablespoons cacao nibs with the rest of the ingredients before baking. Place the clusters on top of coconut yogurt as a dessert. This is one of my favourite granolas! It’s so quick and easy to make and way better for you than any sugar packed granola you buy in stores! LOVE this recipe. I am a granola addict and am always looking for the least sweetened versions. Can I use date paste instead of brown rice syrup? I hate to ask a dumb question but is it 2 cups of *each type of nut and seed? i was just wondering the same thing — it’s hard to tell how the ratios of ingredients are supposed to play out. the yield is 5 cups, though, which would mean 2 cups total of nuts. thanks, jenny and sarah, for the recipe. i look forward to trying it out! I have been following Sarah’s IQS site for several years and have fallen in love with this granola (actually I am enjoying some right now with my greek yogurt for breakfast). It is a total of two cups of nuts – your choice. You can just use one type of nut or a mix of your favorites. Just needs to come to around two cups (quantities in Sarah’s recipes tend to be flexible). I like to use almonds, pecans, and cashews and throw in some cacao. You can probably use whatever sweetener you like as well, but be careful not to overdo it as it can quickly become too sweet – a little sweetener goes a long way! I do not have brown rice syrup but I guess any sweetener can be substituted? What about honey or maple syrup? Awesome. Nuts are pretty easy to sprout at home so I’m giving that a try. I also wonder if more nut nutrients are preserved if they would be dehydrated rather than roasted? Raw food advocates discuss the chemical changes in foods and fats when heated over around 120 degrees (or so) Curious, Jenny, your take on that. I will try it both ways and report on the texture and flavor profile! On a side note, my current go to bfast is fresh fruit with homemade coconut and or almond milk and sprouted, dehydrated cinnamon buckwheat groats and coconut flakes. Anxious to add this granola recipie to my repitoire. Thanks! I made this as soon as I opened the email. It’s delicious! I used a heaping tablespoon of maple syrup, and it’s definitely sweet- like I probably wouldn’t eat it for breakfast, but it is wonderful on yogurt for a treat. I used soaked almonds, pumpkin seeds, and raw cashews. since there’s noting to really soak up the oil/syrup, it does stay a little liquid when it’s warm- I toasted mine for about 30 minutes. This sounds great. Can’t wait to try it. Do you have any instructions on how to soak/sprout/roast nuts, as sprouted nuts are not available where i live? Would love to see any information that you have on this process. Would this recipe work with a syrup made with coconut palm sugar? I have a recipe to mix 1/2 c water to 1 c coconut palm sugar then mix in pan over low heat until dissolved. This syrup can then be stored in the refrigerator. I had it written down as a substitute for agave syrup. Anyone know what the glycemic index would be for brown rice syrup vs. coconut palm sugar syrup? Thanks! Do you have the Nutritional stats for this recipe? Nope. We don’t do nutritional stats for any recipe, because people who need it can simply plug in the ingredients to a calculator of their choice if they care to. Can I use Barley malt syrup to make the granola? Have you heard of the concentrated levels of arsenic present in brown rice syrup? Mostly all brown rice contains arsenic and products made from it usually has more. Maple syrup or sucanat seem like fine sweetness to me! Granola roasting in the oven as we speak! Smells and looks delicious. I added rolled oats and raisins and used maple syrup for sweetness (about 2 tbs). Cannot wait to eat with my morning yogurt. Hello Jenny, Thank you for your beautiful work. 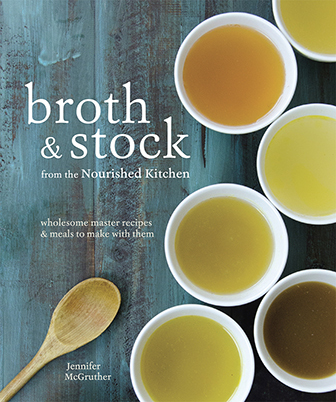 I have a question regarding your baked oats recipe in your book, The Nourished Kitchen. Is it really 8 cups of steel cut oats? My 9×13 pan was a lot fuller than the photograph showed yours as being, and the finished product was very loose, not held together at all by the eggs; It is not possible to cut a square. Thank you! We tested that recipe several times. It should work. That said, you could try to cut down the ratio of oats to 4-6 cups and work from there if it’s too loose as it is. Let me know!